Local and regional not-for-profit organisation and registered charities are encouraged to apply for a share of grant funding under PBPL'S $100,000 Community Grant Program. Established in 2013, the annual grant program has invested $700,000 in 88 community focused organisations across south-east Queensland. Individual organisations are eligible to apply for funding up to $15,000. Applications close on 30 April 2019, with successful applicants to be announced in July. 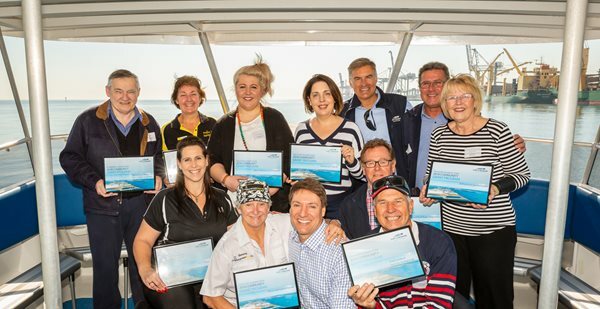 This year’s Port of Brisbane Community Grant recipients have put forward a range of innovative and exciting projects, and we are looking forward to be working with our new partners as they deliver positive outcomes for the community. PCYC (Bayside) – Construction and planting of a new community garden. Make it Home Safely (Wynnum) – New car to support Make it Home’s Learn to Drive programs for disadvantaged young people. Bayside Adolescent Boarding Inc. (Wynnum) – The Healthy and Active YOUth project aims to help disadvantaged youth with a mix of cultural, sports, adventure based youth leadership, arts and craft activities. Friends with Dignity Limited (Gold Coast) – Purchase much-needed goods to support the recovery of domestic violence victims. Point Lookout Surf Life Saving Club (Stradbroke Island) – Purchase of a new inflatable rescue boat to update its emergency response capabilities. Wynnum and Manly District Meals on Wheels (Wynnum) – New kitchen equipment to support its Meals on Wheels operations. Pelican and Seabird Rescue (Capalaba) – New animal rescue equipment to be used in the local community. Queensland Wader Study Group (Queensland) – Development of a new and improved shorebird App.